Katrien Bauters has been the camp´s customer service manager for the last 10 years. She has a tremendous eye for detail and a sixth sense to take care of our guests, making them feel at home. Often compared to top-notch concierges at high-end hotels in major cities around the world, Katrien has a knack for providing answers beyond the scope of the question and a reputation for inspiring guests to make the most of their time in the Galapagos. Our focus is to create authentic and memorable experiences in Ecuador and the Galapagos Islands, offering hand-picked services from beginning to the end of our guest’s journey. 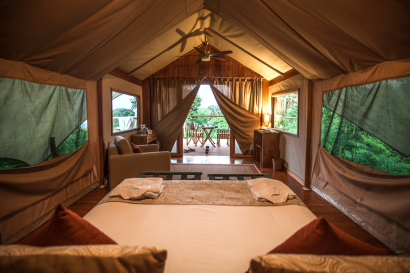 Our Tented Camp was built upon a dream. We instantly fell in love with our first Galapagos experience, lost our marbles and bought a 55-hectare farm in the highlands of Santa Cruz. 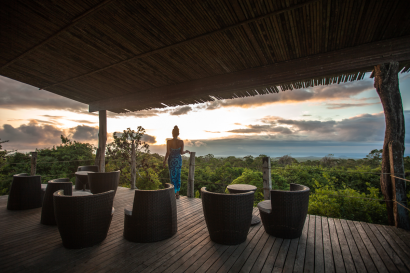 We were captivated by the awe-inspiring views, the intimacy struck with wildlife and the unspoiled and raw beauty of our surroundings. It was intoxicating and overwhelming in its uniqueness, a Galapagos experience that defied description. We had always been part of a travelling culture and our adventures to exotic destinations influenced and defined our philosophy. We decided to amalgamate the best of what we had experienced into what became a way of life as well as an adventure to share with out of the box travelers. We have now evolved into a fully-fledged travel design company, managing innovative experiences in Galapagos & Ecuador. Founders Michael and Stephanie have designed and selected every detail at the camp. In 2015 we renovated our tents and every year we engage in aesthetic and infrastructure improvements. Last maintenance, September 2018. 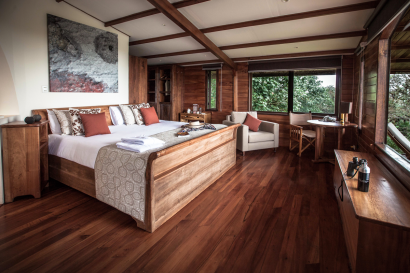 Our level of customization and flexibility in Galapagos and Ecuador, coupled with our passion and creativity is a winning formula. Thanks to our global mindset, vision and ability to understand our clients we have been able to create enriching, inspiring and carefully crafted travel experiences, gaining an excellent customer satisfaction track record. 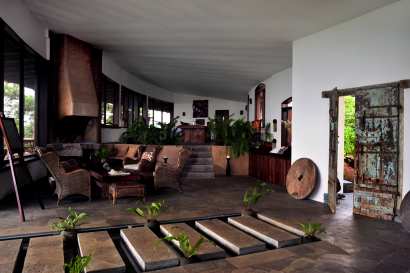 Our motto is to cultivate mindful and sustainable practices that support appropriate luxury over eroding travel models. 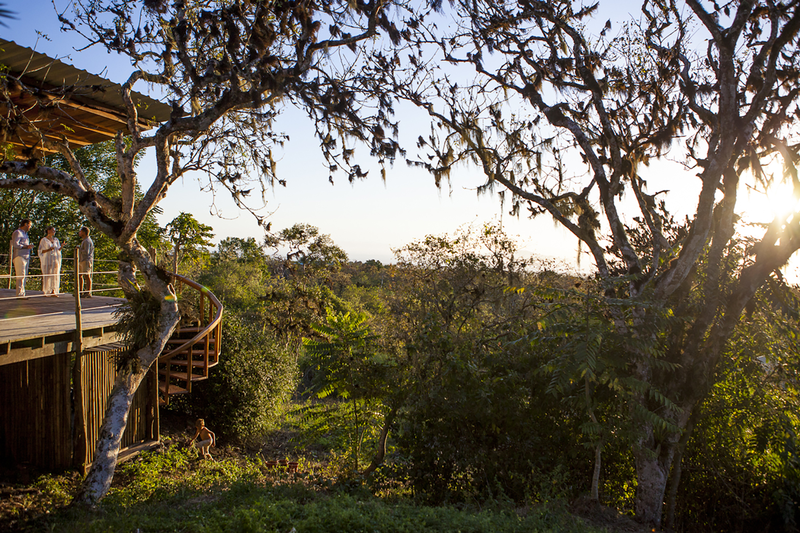 Our 55-hectare farm is nestled in the wild highlands of Santa Cruz Island. The camp is situated on a hilltop, immersed in nature, with stunning views of the Pacific Ocean and the National Park. 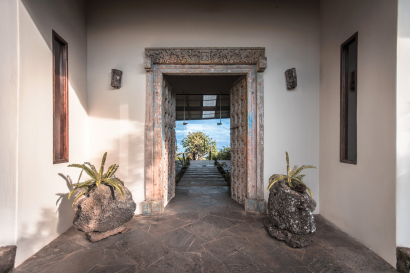 We are located in the transition zone, home to the famous Galapagos tortoises which roam freely in the property. The Galapagos, otherwise known as the Enchanted Islands, is a place of dreams, dark stories of pirates, incredible wildlife and prehistoric landscapes. 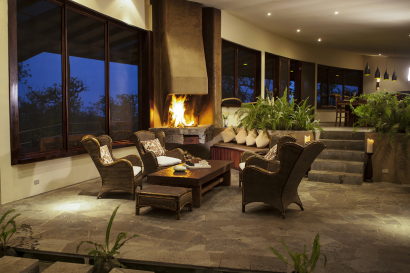 We have designed a series of safari options that will inspire and enlighten. Let us take you on daily explorations to neighbouring islands where you can appreciate the various species in their natural habitat, add diving or snorkelling to the blend or simply spend time exploring the Island of Santa Cruz. 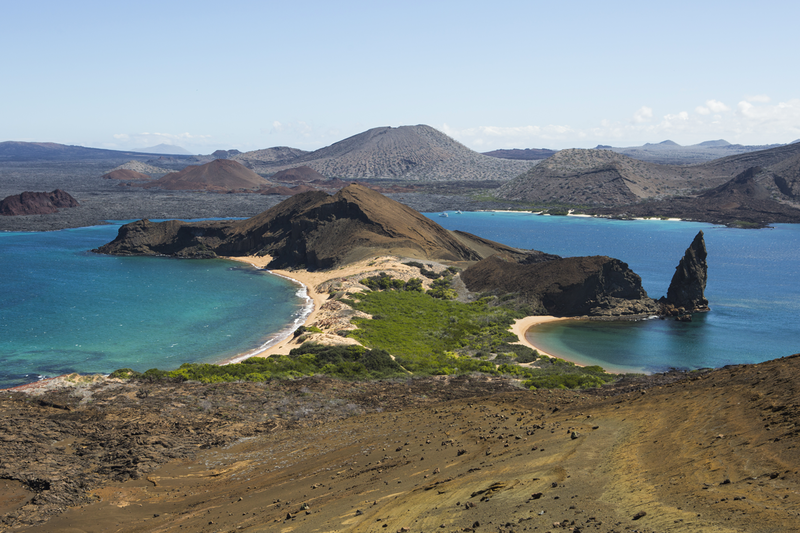 We will tailor your ideal Galapagos journey. Our children were born and brought up at the camp. What better child-friendly credential? We can safely say that we know what children and parents need when visiting the Galapagos. 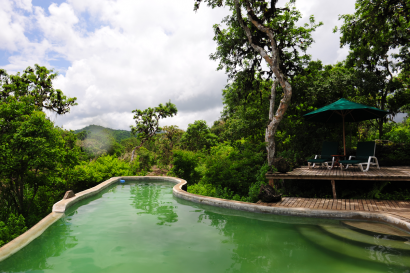 We have developed family safaris, suitable accommodation and a kids club. Every family is different so we craft made-to-measure experiences full of fun, excitement and learning opportunities. Families disconnect to reconnect, that is the place where the magic happens. 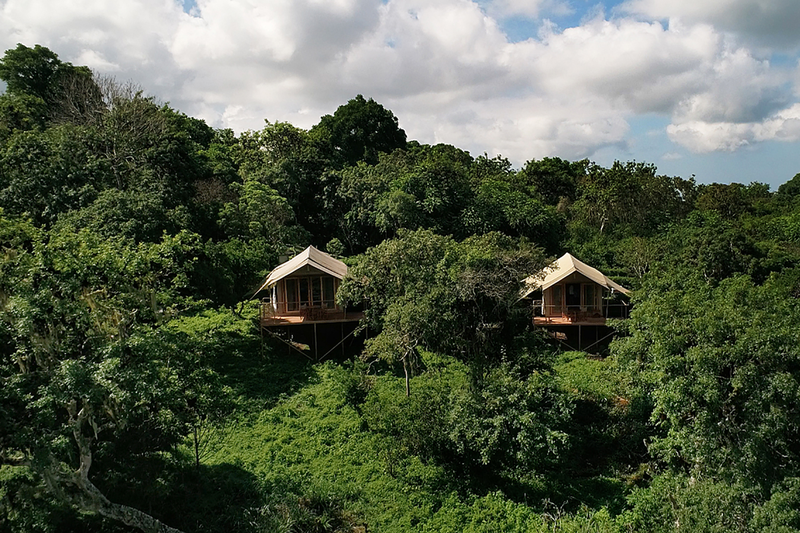 Located below the main lodge, our nine tents are raised on wooden platforms and supported by three layers, one to protect against the sun, another against the rain and an inner canvas shell. 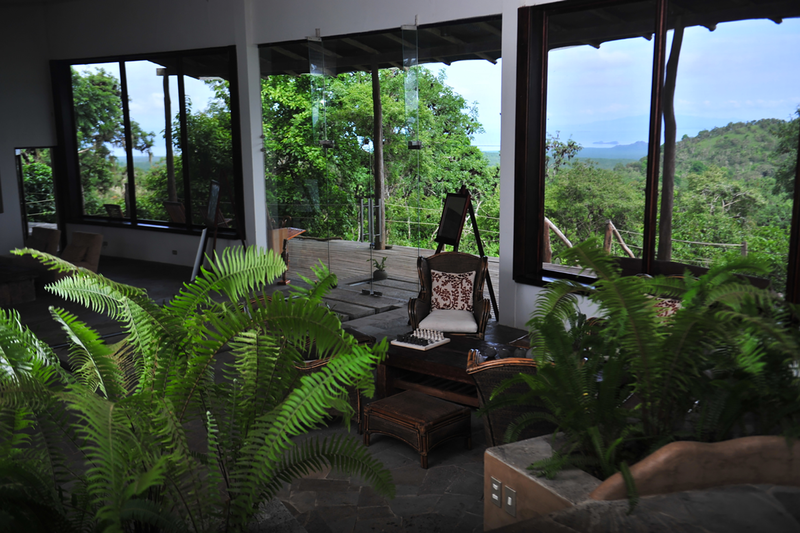 Blended with nature, with airy and comfortable interiors. Custom-made furniture, including cupboards and a writing desk. En-suite bathrooms with good water pressure, hot showers and flush toilets. 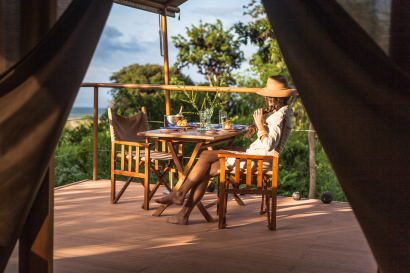 Private balconies with ocean views and safari furniture. We also offer a three-bedroom suite as an alternative to our tents. Located next to the main lodge we consider it an ideal solution for families with younger children. It houses six guests, features a master bedroom and two twin rooms as well as a playroom. Our Infinity Pool was designed to relax and enjoy the views. Massages are provided in the privacy of the tents upon request. In addition to all the spectacular surrounding nature, we offer “The Viewpoint”, a place for yoga, private lunches or sundown cocktails. We organise exclusive events. Guests can rent the premises and we can design celebrations as required. 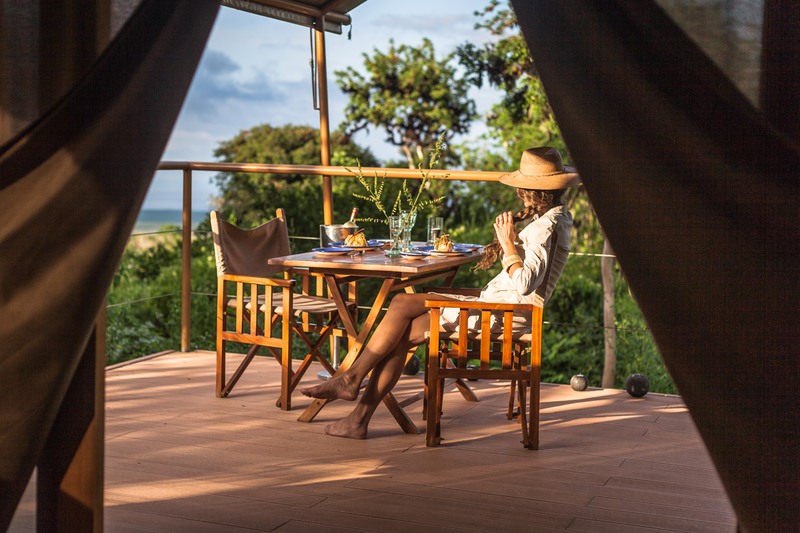 Please note that Galapagos Safari Camp offers all-encompassing experiences, from diving to surfing and excursions to other islands. 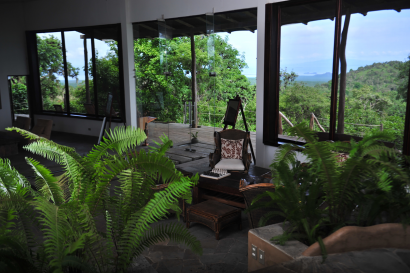 Additionally, we offer daily in-house activities from chocolate tasting to tree planting.